If President Obama suffered a "shellacking" in the 2010 elections, then what he endured Tuesday night was nothing short of a vicious gangland beatdown the likes of which have rarely been seen before in the history of electoral politics. This, of course, is a wonderful and well-deserved outcome. But beware: America now enters the two most dangerous years of her existence — or certainly the most dangerous since the Great Depression and possibly going all the way back to the Civil War. Not to dismiss the promising results of Tuesday's election. Voters clearly and forcefully rejected the party, politics and policies of President Obama. 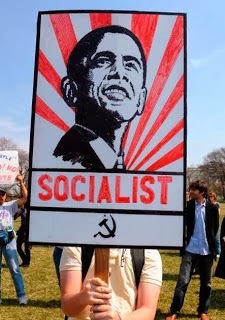 They slapped his socialist agenda back into the days of Soviet gulags, where it belongs. His grand visions of mighty government ruling unchecked over desperate ghettos have been snuffed out. Gone, too, were the so-called "low-information voters" who have been coaxed to the polls since 2008 on lies and false promises that the federal government would solve all their problems. They are used up and wrung out. Even the onslaught of threats and desperate accusations in endless emails to their Obamaphones couldn't motivate those people to the polls one more time. Voters rejected the craven, crass and mafioso tactics of Senate Leader Harry Reid. Voters stripped him of his baldly partisan use of the United States Senate as a graveyard for all House legislation in order to protect his Democrats from tough votes and insulate the President from reality. The little man with giant fists got staggered by a nasty uppercut from voters even though Reid saw it coming for weeks. Now, the ex-boxer stumbles on the canvas all tangled in the ropes, waiting for the bell. And voters also rejected the loony-toon delusions of House Democratic Leader Nancy Pelosi. Honestly, the woman should be running a hat and wig shop in Haight-Ashbury, selling weed and prescription pills on the side. How it is that Democrats in Congress have taken her so seriously for so long will baffle historians for decades. The silver lining for Democrats today is now they now have the perfect excuse to bounce both of them out of leadership forever. And this is where things get very, very dangerous for America. President Obama still has two more years left in his final term. Already, he has demonstrated again and again that he has no regard for the constitution or the legitimacy of laws when they do not suit his agenda. He flaunts his disregard for the constitutional process, dismisses laws he doesn't like and rewrites others. He mocks the powers of Congress. The Supreme Court has slapped him down more than any president in recent times. All of this as he tells us he is an expert on constitutional law. Now come his very explicit threats to pass more illegal and unconstitutional presidential edicts to grant amnesty to illegal aliens already in the United States. This, in turn, will issue invitations for millions more illegals to come streaming across the border. It will not end at immigration. Unchecked power is addictive. Disowned by Democrats and made to feel irrelevant in this election, President Obama's enormous and unjustified ego is deeply wounded. He is frustrated and feels caged, cornered. This is when people like him are most dangerous. Buoyant Republicans will make an effort to engage him. But President Obama is not a listener. He is not a negotiator. He is not a learner. He will just take what he wants. It is easier that way. Franklin D. Roosevelt's court-packing scheme during the Great Depression was nothing like the strains this president has put on Constitution. Indeed, not since the Civil War has America faced such a dire threat to her existence as a lawful, constitutional republic. The difference in leadership between then and now could not be more striking. To bind the union, Abraham Lincoln took an economic and political war and elevated it into something higher. He made it about emancipating slaves and won. And saved the Republic. This president does the opposite. He got elected promising to elevate politics but instead finds unity and sows discord, often inciting racial divisions. America's only hope today is that President Obama finally turns to the bust of Lincoln he keeps in the Oval Office and listens. You will want to remember this date April 10, 2015. According to one of the top minds in the U.S. Intelligence Community, that is when the United States will enter the darkest economic period in our nation's history. the End of the Dollar? An alarming pattern has caused many in the Intelligence Community to secretly prepare for a "worst-case scenario." And alarmingly, he and his colleagues believe the evidence they've uncovered proves this outcome is impossible to avoid. In an exclusive interview with Money Morning, Jim Rickards, the CIA's Financial Threat and Asymmetric Warfare Advisor, has stepped forward to warn the American people that time is running out to prepare for this $100 trillion meltdown. "Everybody knows we have a dangerous level of debt. Everybody knows the Fed has recklessly printed trillions of dollars. These are secrets to no one," he said. "But all signs are now flashing bright red that our chickens are about to come home to roost." During the discussion, Rickards shared a series of dangerous signals he fears reveals an economy that has reached a super critical state. One of the signals the CIA is most concerned with is the Misery Index. Decades back this unique warning sign was created for determining how close our country was to a social collapse. It simply adds the true inflation rate with the true unemployment rate. However, the Federal Reserve has repeatedly changed the way the Misery Index has been calculated over the years. Which Rickards believes is now being used to cover up the true scope of the problem. Whatever happened to the Obama administration’s guiding principle never to let a serious crisis go to waste? Ex-White House chief of staff Rahm Emanuel pronounced this shockingly brazen political principle before a group of Wall Street executives in November 2008. He said this even before President Obama took office. It was after that historic election, a time when the president was riding high on a wave of good will and political euphoria that few American politicians have ever enjoyed. It was also a time when the president’s party controlled both chambers of Congress and could have approved just about any agenda the White House could dream up. Mr. Emanuel was, at the time, speaking about the financial crisis that was savaging the stock market, straining unemployment rolls and simultaneously spiking both foreclosed homes and homelessness across the country. Machiavellian? Sure. But, boy, did that crew talk a big game back then. It really sounded like they knew what they were talking about. And he struck a bipartisan chord back then that sounds laughable today, knowing now how utterly hollow those words would turn out to be. “The good news, I suppose, if you want to see a silver lining, is that the problems are big enough that they lend themselves to ideas from both parties for the solution,” Mr. Emanuel cooed. You mean like, say, Obamacare? The single biggest, most strictly partisan government program ever created? These people have taken partisanship to its nastiest level in more than 80 years. Heck, Mr. Obama has turned partisanship against even his own party. When he doesn’t get his way, he goes around even fellow Democrats in Congress with his unconstitutional gambits. So what did Mr. Emanuel’s “serious crisis” unwasted get us? National debt exploded 70 percent to a staggering $17 trillion. Unemployment went from 6.8 percent up to 10 percent where it hovered for about a year and a half and is finally back down now to 6.1 percent. Today, a record 92 million Americans are no longer in the workforce, a rate of hopeless indolence not seen in the USA since Jimmy Carter was president. Maybe America would have been better off if they had just decided to waste that serious crisis. Now Mr. Obama faces another “serious crisis.” This one almost entirely of his own making. Tens of thousands of children wandering the desert alone or shepherded by the modern equivalent of slave traders across the U.S.-Mexico border. Untold numbers have died, been raped and murdered. All because Mr. Obama has promised to make them free Americans if they just touch our blessed borders — or at least that is the message the president conveys to these children and their families. Just look at the facts. Enforcement of immigration laws is a joke in the United States and everybody in South and Central America knows it. Then, Mr. Obama himself unilaterally granted amnesty to children in the U.S. illegally. How does he now claim to be surprised by the humanitarian crisis of children flooding the border? What did he think would happen? If ever there were a serious crisis not to let “go to waste,” it is this one now. The president could finally get serious about enforcing immigration laws on businesses that hire illegals. He could begin real deportations. And he could send the starkest message yet by returning the children streaming across the border to their families back home. Instead, the president keeps harping about “comprehensive immigration reform,” which is politicalese for refusing to enforce border laws until a widespread amnesty process is approved for all illegals. Of course, this is precisely why we have the humanitarian crisis on the border in the first place. Mr. Obama plans to travel to Texas this week to attend political fundraisers. Astonishingly, the White House says that while is he collecting political campaign cash, he has no plans to visit the border. Indeed, a serious crisis wasted by a president who apparently does not care. The first attorney in history to receive admission to a state bar association despite being in America illegally says practicing law isn't the limit for him; he might run for governor of California. Sergio García, who was brought into the country illegally at 17 months and has been waiting 19 years for a legal permit, stayed in America, and graduated from Cal Northern School of Law in 2009, told EFE that he could see himself "launching a political campaign." "Insofar as it's legally possible for me, I'm thinking of launching a political campaign with the aim of eventually, perhaps many years from now, running for governor," he said. He noted that he is still very much interested in practicing law, but that being undocumented in the United States poses barriers even for an admitted member of the California bar. While the California bar wanted to accept him, his case reached the California Supreme Court when the Justice Department objected to his admission on account of his legal status. And many things remain out of reach for Garcia. It is illegal, for example, for any firm to hire him and for him to receive payment from clients. "I can't take a job from a person who's here legally, but there's absolutely no law that says that I can't create my own job and open my own company," he noted, which means that, as a lawyer, he may have to hang up his own shingle. And Garcia added that this is where the idea of running for public office came: there are no specific rules for some low-level offices mentioning legal status in the United States, and "many years from now," it is possible Garcia's status in the country will be stabilized. California became the first state to allow an illegal immigrant to practice law this month when the California Supreme Court ruled that Garcia, who graduated law school and passed the state bar, should be allowed membership. The California legislature had previously attempted to pass a bill that would allow illegal immigrants to work in the legal industry, but the state courts preempted it. Governor Jerry Brown signed a law shortly after the court decision cementing the practice, however. The Court's Chief Justice, Tani Catil-Sakauye, stated in the court decision that "the admission of an undocumented immigrant who has met all the qualifications for admission to the State Bar is fully consistent with this state's public policy." O'Reilly: Is America going to pot? El filibusterismo oficial y comprobable que ha resultado en la ejecución socio-político-económica del país por la tenaza diseñada por los “interesados” para Obama, es el precedente que está sentando lo peor: Estados Unidos frente el bombardeo futuro de gente como este tipo, a partir de su falsa y engañosa política mesiánica, camouflage del “anticristo del siglo XXI", no más incapaces, no más mentirosos, no más antiamericanos, que sería imposible, sino iguales y se dice todo. Resulta que no llega por ningún lado el refuerzo de la decencia, la moral y los principios conservadores y la impresion de que este tipo de ciudadano desapareció o lo tienen en túneles bajo tierra a ver qué hacen con él ES UNA REALIDAD DEMOLEDORA. Los datos sobre la “comunidá” que arribó este año reflejan que la continuación de la la vista gorda define la importancia del castrismo para Obama: por cada elemento que agarran "mojado", permiten que lleguen 200 "con los pies secos". Sin embargo, la noticia será 8 que capturaron en el mar y deportarán para “partir corazones”. Este detalle no fuera preocupante si la mayoría no se constituyera en parte de la 5ta columna castro-obamista, a partir del apoyo al resquebrajamiento moral del partido demócrata, siempre consecuente con cualquier actitud que golpee a la Unión. Como cualquier ilegal, no tienen en cuenta la realidad económica americana para correr el riesgo de "lanzarse"; ni les interesa si hay o no trabajo, tampoco traen en la agenda aprender ingles, a fin de cuentas “esto es Carraguao” o el Fanguito o Tepito y a “joder la pava y a los pavitos, que vivir del welfare, del fraude y otros "demases" no exige mucho esfuerzo. Definitivamete, las frases más antiamericanas de la historia son “este es un país de emigrantes” y “el sueño americano”; la primera, sin ninguna razón lógica ni realista para convertirla en significación ética hoy, fue un estandarte de americanos patriotas que, en su momento, no se percataron de que le servirían el arma soberbia al enemigo público 1 de este país: la emigración ilegal, que ha logrado espacios tan significativos por el asalto al poder de comunistas encubiertos como mantener en jaque la política americana con la oficialización de exigencias de reforma migratoria. Sencillamente, la estimulan con objetivo político electoral como primer paso “compañeros” en la lucha contra el capitalismo representado por Estados Unidos. La conspiración nace en el partido demócrata americano con apoyo de los seculares del Diablo en ultramar. La situación se ha tornado hiperpeligrosa una vez que lograron imponerle el sello contribuyente para “lo que se avecina” al Vaticano, que eligió, para contentar y reforzar un poder no tan secreto, a un PAPA de la categoría comunista envuelto en papel liberal o reformador. En ese orden de cosas, hasta la palabra “ilegales” han prohibido en los medios por gestiones de otra “luchadora por esos delincuentes”, jueza en la Corte Suprema, sustituyéndola “indocumentados”; a fin de imponer, como si fuera un derecho, a quienes entraron sin autorización, les falta una firma y a imponer el relajo “como Pedro por su casa”, que es en lo que buscan convertir el “paso de la frontera”. Con el 90 % del andamiaje mediático en control de los comunistas encubiertos que favorecen todas las medidas contribuyentes a destruir el poder de Estados Unidos, con el Partido Republicano contra la pared, rehén de la circunstancia “ilegales, homosexuales, negros...”, nadie sabe cuánto de malo le espera por las concesiones oportunistas de pusilánimes y traidores. Razones suficientes para fruncir el ceño cada vez que alguien le desee “felices fiestas...”, porque hasta “christmas” es un delito decir, y un ¿próspero? AÑO NUEVO. An atheist organization is beginning a billboard campaign in Sacramento, California to encourage other atheists to “come out of the closet” as the Christmas season has believers turning their focus to faith in God. According to a local ABC news affiliate, the Greater Sacramento Chapter of the Madison, Wisconsin-based Freedom From Religion Foundation is erecting 55 billboards on Monday just as the Christmas season gets into full swing. The campaign, part of an ongoing endeavor titled, “Out of the Closet,” hopes to let atheists know that having God in your life is not a necessity. Saint said the movement is not about being anti-God but that it’s acceptable not to embrace a God. Happiness and goodness, she said, are not exclusive to having a higher being in your life. “You don’t have to have a God in your life,” Saint said. Annie Laurie Gaylor, who is associated with the atheists’ organization, stressed that the billboard campaign is not meant to insult Christmas but, instead, to urge people to ignore the religious messages behind it. “The whole month of December is taken over in a celebration of the religious beliefs, in particular Christianity, and it’s just as if the whole month turns non-believers into outsiders,” Gaylor said. Gaylor would not disclose the cost of the billboard campaign, but said it would run throughout the holiday season. O'Reilly: Are you happy with your country?